Floods are a fact of life in Westport. Fortunately, homeowners in certain areas can buy flood insurance. Fortunately, FEMA — the Federal Emergency Management Agency — offers discounts. They’re based on rankings of each community. #1 offers the highest reduction; #10 the least. Fortunately — thanks to efforts implemented by the Planning & Zoning Commission — that’s up from #10. The high water mark on an “06880” reader’s garage is very high. This was last October. Fortunately too, the Westport Progress Report on Floodplain Management is available online. It enables residents to receive a 10% reduction on their flood insurance. Unfortunately, the report itself is not available online. You’ll click on the town website, and see that the online document merely tells you the next step to complete to receive the information. A copy of the CT South Western Regional Natural Hazard Mitigation Plan (2016) is available either in person at the Westport Planning and Zoning Office (Town Hall, Room 203), or by clicking here. Fortunately, there are no floods in the immediate forecast. It may not be as compelling as Fire and Fury. But the Westport Progress Report on Floodplain Management could do something the Trumpland bestseller can’t: Save you 10% on your flood insurance. According to Planning & Zoning director Mary Young, the annual report can lead to efforts by the town to secure that reduction for residents. Flood insurance is offered by the Federal Emergency Management Agency (FEMA) to communities that participate in the Community Rating System (CRS). Their classifications (ranked from 1 to 10) determine that amount of flood insurance rate reductions offered. A ranking of 1 offers the highest reductions. Efforts thus far by the Planning & Zoning Commission have elevated Westport’s ranking from 10 to 8. More efforts — including revised zoning regulations that might result in lowered premiums — are planned. 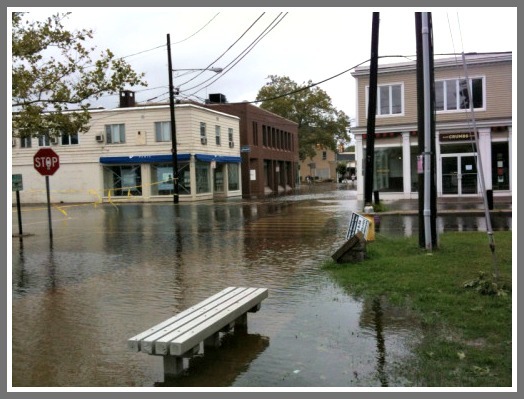 Hurricane Irene flooded downtown Westport, — and many other spots — in August 2011. Flood insurance relief may now be at hand for homeowners. 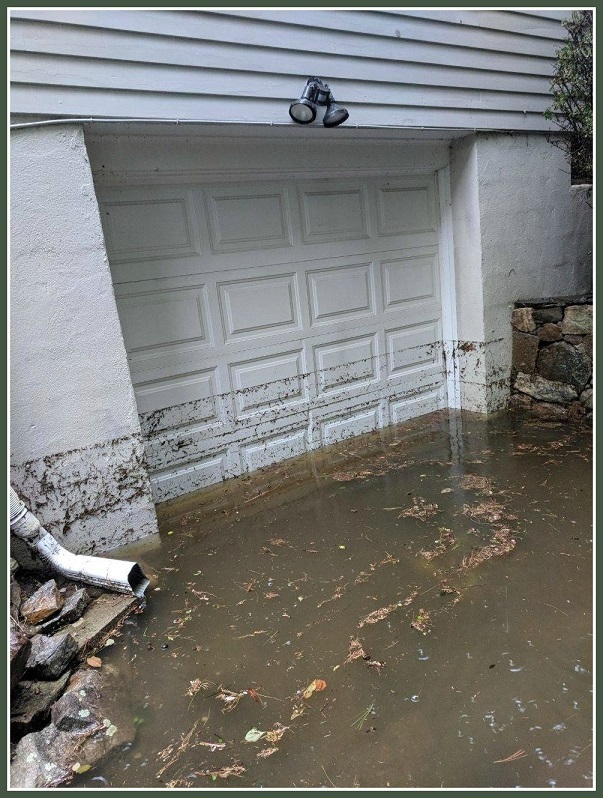 Westport residents are fortunate to live in a community that participates in the CRS program, thus enabling them to receive flood insurance from FEMA and reductions in their flood insurance rates. Many communities prone to flooding do not have the resources to participate in CRS. Only 14 of the state’s 169 municipalities participate in CRS. Westport joined in 1995. Surrounding communities in Fairfield County that participate in CRS ranked near Westport. They range from 7 (Stamford) to 10 (Norwalk). Next Tuesday (July27) is the deadline for requesting storm disaster assistance from FEMA. No, not last night’s tornado. This deadline is for the nor’easter last March. For information, click here or call 800-621-FEMA. No word yet on disaster relief from yesterday’s weather. Let’s hope it’s the last one we worry about for a while.